Okay so I am excited about Consequences coming out soon. It is currently with my editor, but I decided to share a little bit of the opening scene with you guys. This is completely unedited, but I hope you enjoy it! "We have to go somewhere," the growl came from the beautiful statue of a man standing beside me in the middle of a deserted street. His voice made my heart patter and my brain struggle to maintain control. "Go wherever you want. No one is asking you to stay," the dimpled, normally gentle man in front of me began to take on the appearance of an avenging angel with the light haloing him growing in intensity. "Why don't we have a little chat, guardian?" Holden easily looked more menacing—blood soaked, eyes flashing, and white teeth gleaming out from his snarling mouth. "We have to go somewhere," Femi repeated what Holden said, but calmly, already bored with the guys’ bickering. "Holden's suggestion is the only one I've heard." "Of course he has a suggestion, he's a criminal." Quintus’ light grew brighter and brighter. "Olivia?" OOhhh. Sounds fascinating! I am so excited for you that your book is with the editor and will be ready soon. I am curious to know more. Can not wait for the third installment of The Guardian Trilogy! Found Secrets on Amazon and I'm hooked! I am sooo waiting for the 3rd book Consequences! Just finished Secrets and Choices in just two days and chompin at the bit for the next one! 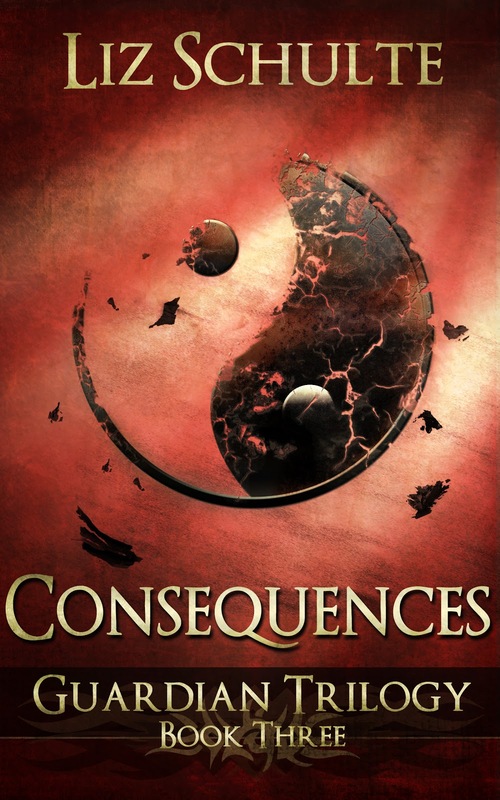 I just finished the first two books and can't wait for Consequences. What an amazing storyline. I just finished both as well and am now OBSESSED!! I hope that editor works quickly!! Wow.. Secrets and Choices just grabbed me and wouldn't let go until I finished reading and I cannot wait until the 3rd book comes out. 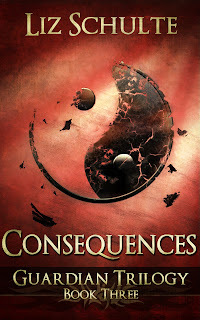 Just started book one Friday,book two Saturday .....this is Monday....ready for "Consequences"!! :) must I really wait another day??? Woohoo....just downloaded it today .....no waiting. Whew! Finished Consequences about 10 minutes ago! WOW! Please don't let this be the end of the story. The passion between the Olivia and Holden has to continue! Thank you for 3 wonderful books. All of which I read in 5 days. I couldn't put them down! Again mesmerizing! Love your trilogy! I love your style of writing, breath taking!